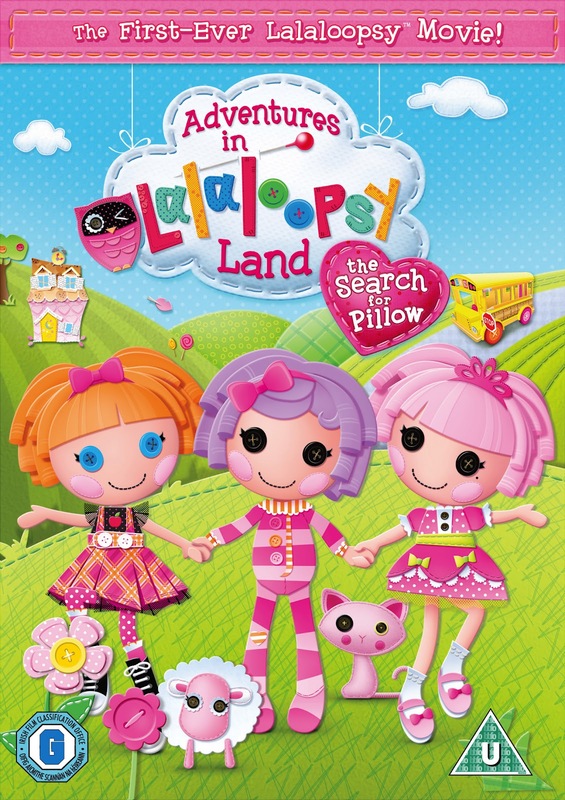 Over the past couple of weeks there has been a new 'favourite DVD' in our house - no it's not Ben 10, Peppa Pig or any of the usual suspects - it's Adventure In Lalaloopsy Land: The Search For Pillow. I have to admit, I hadn't really heard of Lalaloopsy until we were offered this for review, I had seen an ad for the dolls over Christmas but I hadn't paid much attention. We decided to watch the DVD together. Mister A screwed his nose up at the suggestion - he's 5 and if it hasn't got aliens in it, he generally isn't interested. Little E however, loves anything pink and girly so I was certain it would go down well with her. For those of you that don't know, Lalaloopsy dolls are rag dolls that come to life the moment that they receive their final stitch. They each have their own personalities reflecting the materials they are made from. In this DVD, one of the Lalaloopsy dolls, Peanut, has a big surprise to share and no one can wait to see what it is. Unfortunately, before the surprise is revealed the friends realise that one of the dolls is missing. Pillow has sneaked off for a nap with her friend sheep and the gang are worried that she'll miss out on the surprise. The Lalaloopsy girls set off to find their missing friend but it seems everyone has their own ideas on how to search for Pillow - and it’s not until they work together that their plans start to work. It's a great little DVD movie adventure and suprisingly Mister A rather enjoyed it. In fact he seems engrossed everytime we watch it! Little E loves it and even has her own dance when she hears the theme tune! We think it's fab and would certainly recommend it for any young families. You can check out a clip here if and see for yourself..